Edward (Edd) F. Easter, 84 of Stuart, passed away on Wednesday, January 30, 2019. Edd was born in Mt. Airy, NC on March 27, 1934. Edd is survived by his wife, Ann Easter; son, Eddie Easter; daughter, Margaret Rakes; daughter-n-law, Brenda Easter; brothers, James (Denise) & Russell Easter. Grandchildren, Great Grandchildren & their families, Tonya Meeks (Patrick & Abby), Samuel Rakes (Jodi, Lincoln, Alanis), Melissa Easter-Calfee (Jeremiah, Sage, Colton, Knoxley), Michelle Easter (Kadence & Kinder), Robert Easter (Haley, McKenzie & Noah), Brittany Easter (Jasiah). He is in heaven now with his sons, Billy & Bobby Easter; grandson, Douglas Easter; brother, Simon Easter; mother, Lily Easter; father, Jim Easter; and sister-n-laws, Myrtle & Louise Easter. 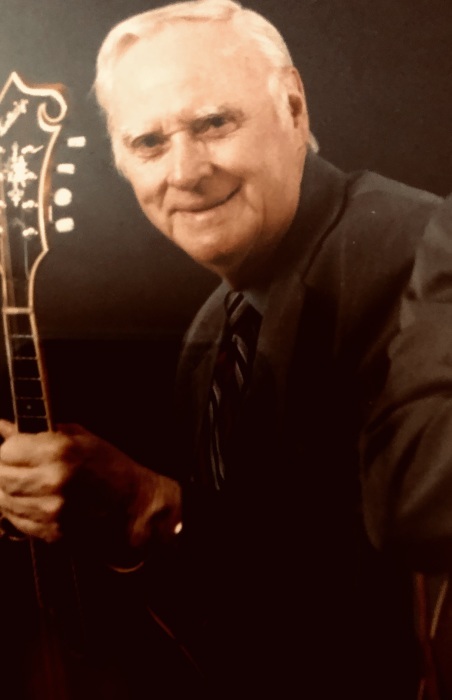 Edd was known as an Easter Brother in the bluegrass gospel band who traveled over 60 years with his brothers Russell and James Easter. Edd taught many how to play music and was best known for his love for the mandolin. He is a member of the Buffalo Ridge Pentecostal Holiness Church and was loved by so many friends across the country. The family would like to give a special thank you to all who have cared for him during this time. Funeral services will be held Saturday, February 2, 2019 at 2 PM at Buffalo Ridge Pentecostal Holiness Church with Pastor Kenneth Terry officiating. Burial will follow in the church cemetery. The family will receive friends Friday night from 6 to 8 PM at Moody Funeral Home in Stuart. Online condolences may be sent to www.moodyfuneralservices.com.